Hana Almutairi (UCL Institute of Education), Exploring the Effects of Spoken Pushed-Output Activities on Learning Polysemous Single-Word Verbs and Multiword Verbs. Producing language through speaking and writing is an important part of the second language learning process. However, a learner’s output is limited in two ways: opportunities to effectively produce the language are scarce in the classroom settings and learners are not ‘pushed’ in their output; in particular, they are not stretched out of their comfort zones to use the language in a more innovative unbounded way (Swain, 1995). Previous research has shown that vocabulary can be learned through pushed-output activities (e.g., Nassaji & Tian, 2010). However, the few available studies have mainly focused on the acquisition of nouns. Little is known about the acquisition of other parts of speech and other components of lexical mastery through pushed-output activities. The current study investigated the effects of three forms of pushed-output activities on enhancing the knowledge of polysemous single-word verbs (SWVs) and phrasal verbs (PVs). EFL learners (N=49) were taught the multiple meaning senses of high-frequency SWVs and PVs using three activities (i.e. dictogloss, guessing meaning from context, and picture description with keys) over five weeks (six sessions). Knowledge of the meaning senses was measured through receptive multiple-choice pre- and post-tests, and a productive post-test. For each type of knowledge (receptive and productive), a mixed design ANOVA with repeated measures was conducted, including the activities as the between-subjects variable; the type of target item (SWVs versus PVs) and frequency of meaning sense (1, 2 or 3) as the within-subjects variables. Results revealed that all three activities resulted in similar recall scores, but they differed in their effectiveness for meaning recognition. The dictogloss activity was found to be the most effective activity at the recognition level (as shown by the scores of the receptive test). The results also indicated that under similar instruction conditions, PVs are likely to be learnt at a similar rate to SWVs. Sam Barclay (UCL Institute of Education/Nottingham Trent University), The Effect of Meaning Presentation Mode on the Acquisition and Decay of Vocabulary Knowledge. Practitioners and researchers have long known that foreign language (FL) lexical knowledge decays after learning (Schmitt, 2000). Studies typically report, for instance, a loss of vocabulary knowledge between immediate and delayed post-tests. To date, however, minimal systematic investigation of such lexical loss has been undertaken. In fact, despite potentially important implications for FL pedagogy, the variables influencing the extent and speed of decay have received less research attention than those affecting acquisition. One example of this imbalance is the investigation of the manner in which word meaning is presented. Learning studies have shown that presenting word meaning via the L1 leads to greater gains than via the L2 (e.g. Lado, Baldwin, & Lobo, 1967; Laufer & Shmueli, 1997; Mishima, 1967). However, little consideration has been given to this language effect on the decay of learned knowledge. This presentation reports the findings of a study that was conducted to address this gap. Fifty-three L1 Chinese students of English studied thirty-two words using either L1 equivalents or L2 definitions. The learning stage utilised electronic flashcard software. This allowed for the determination of prior knowledge and the measurement of exposure frequency on a by-participant basis. After learning, participant knowledge of the target forms was assessed twice: immediately and after a retention interval of one week. The learning burden was determined by considering the number of times that items needed to be seen in order to be learned, while decay was calculated by comparing the immediate with the delayed testing session. Mixed effects models were computed to assess the impact of the language of presentation, as well as predictor variables, on learning burden, while logistic mixed effects models were used to determine the influence of the target variables on any loss that occurred. Results will be discussed in relation to the processes of learning and decay, and the effect of frequency of exposure on the latter. Pedagogical implications of the findings will also be considered. The paper presents the results of a study on the effectiveness of length and frequency of exposure to novel multimodal lexical stimuli on EFL vocabulary learning in young adults with dyslexia. Dyslexia is primarily described as a specific learning disability caused by a deficit in the phonological component of language, which results in an unexpected discrepancy between cognitive abilities and literacy skills. Learning a foreign language can be a challenging experience with this condition. Difficulties have been observed in several areas of foreign language learning, including reading comprehension and vocabulary acquisition (Kormos and Smith 2012). The two domains are strongly correlated, and such correlation strengthens as learners get older (Tannenbaum, Torgesen and Wagner 2006, Daugaard, Cain and Elbro 2017). For this reason, understanding L2 lexical development is crucial to implement effective teaching practices. Most studies on L2 vocabulary learning and dyslexia have focused on facilitating techniques (Sarkadi 2008, Kormos and Smith, 2012, Cappelli and Noccetti 2016, Daloiso 2017) and are the result of empirical observation in educational settings. However, no research has been carried out, to the best of my knowledge, on Lexical Input Processing (lex-IP, Barcroft 2015) and dyslexia. And yet, we can assume that, given the deficit associated with this condition, differences in lex-IP are likely to exist and have an impact on the way in which vocabulary is (or is not) learnt. The presentation discusses the effects on cued and free word-recall tasks of frequency of exposure to auditory and written English words presented with a picture depicting their meaning, at different intervals and with different presentation length. The study builds on Barcroft’s TOPRA (type of processing – resource allocation) model. Research on this topic should cast some light on the mechanisms that can lead to successful vocabulary acquisition and have an impact on teaching practices. Validation research in the field of language testing has tried to identify variables that affect proficiency gains (Hughes Wilhelm, 1997; Elder & O’Loughlin, 2003; Green, 2009). Riazi (2013) suggested that as participants’ scores increase, their academic performance also increases. Proficiency levels can be distinguished by various test-taker discourse features, such as vocabulary (token and type), grammatical accuracy, grammatical complexity, pronunciation and fluency (Iwashita, Brown, McNamara and O’Hagan, 2008). Motivated by work on the features of spoken and written language (Read and Nation 2002; Mayor et al., 2007; Banerjee et al., 2007; Barkaoui, 2013; Riazi and Knox, 2013; Bosker, 2014; Seedhouse et al., 2014; Liontou and Tsagari, 2016; Demetriou, 2016), the current research study set out to investigate and identify specific speaking and writing features that account for progress in proficiency on the Global Scale of English. The study aims at contributing to previous work on how measures of lexical diversity can discriminate between CEFR levels (Treffers-Daller, Parslow and Williams, 2016) and offers a statistical model (using the most important variables/features) that can predict PTE Academic speaking and writing scores. In this paper we look at how different linguistic parameters account for progress in proficiency in the Pearson Test of English Academic. We took into consideration the following measures of proficiency. For Writing: vocabulary, grammar and written discourse; for Speaking: vocabulary and oral fluency with a particular focus on vocabulary and how it can discriminate between different scores/levels. Results showed that vocabulary mainly accounts for language proficiency and can be used as a predictor variable for the Writing and the Overall Scores in the test. Fluency could also predict some of the variability in the Speaking Scores. The study contributes to ongoing research on how various language measures can discriminate between levels of proficiency. Research has shown that receptive word list learning tends to result in greater receptive gains and productive word list learning in greater productive gains (Webb, 2009). However, it is unclear whether receptive/input-based tasks or productive/output-based tasks have the same effects on vocabulary learning as word lists. The aim of the present study is to investigate the differential effect of input-based and output-based tasks on Vietnamese EFL learners’ L2 vocabulary gains in an ecological way. The study adopted a pretest-posttest within-subjects design, with thirty Vietnamese EFL university students. All participants completed four online input and four online output tasks. The input-based tasks involved two types of activity: 1) watch L2 videos and write a reply email to a friend in Vietnamese; 2) watch L2 videos and design a tour itinerary in Vietnamese. The output-based tasks involved two types of activity: 1) write a English blog based on Instagram photos; 2) write a tour summary in English. The target items (ten single words and ten compounds) were counterbalanced across the tasks. Learning gains were measured at four levels of sensitivity: spontaneous use of the target items, form recall (i.e. giving the English word form), meaning recall (i.e. giving the L1 definition/translation for an English word form), and meaning recognition (i.e. recognizing the meaning in a multiple choice test). The analyses showed that the input-based tasks resulted in higher learning gains at the level of meaning recall, whereas the output-based tasks resulted in better scores in form recall test. No difference was found in the spontaneous use and meaning recognition test. Further, learners learned more compounds than single words at the level of form recall. The results indicated that the input-based tasks can be effective if the learning aim is improving comprehension; while output-based tasks might be better suited to improve production. This paper describes a newly-completed project focusing on the development of written language in school children in England. The need for research of this kind has become pressing in England in recent years due to an increased curricular emphasis on explicit teaching of the linguistic features of writing. The current National Curriculum states that students should be taught to ‘draft and write by: selecting appropriate grammar and vocabulary, understanding how such choices can change and enhance meaning’ (DfE, 2013a) and specifies the ages at which children are expected master specific features of written grammar and vocabulary (DfE, 2013b). A convincing linguistic research base against which such policies can be evaluated does not yet, however, exist. The project described in this presentation was developed in response to this need. It uses corpus methods to understand the linguistic development of English children’s language throughout the course of their compulsory education. Our team has collected a corpus of approximately 3,000 educationally-authentic texts from children in schools across England from ages six to sixteen with the aims of understanding what distinguishes texts written at different ages in terms of their use of key features of syntax and vocabulary. This presentation will focus in particular on findings with regard to lexical development. It will discuss the methodological and theoretical issues involved in measuring lexical sophistication in children, outline our key findings, and discuss their implications for models of writing development. Reading is a source of disciplinary knowledge, including the knowledge of subject-specific vocabulary. L1 and L2 speakers commonly make efforts to derive meanings of unfamiliar words from context during reading. Inferring word meanings from context is essentially a trial-and-error procedure, in which readers may initially infer word meanings incorrectly. Do these incorrect inferences impede the learning of correct meanings? Should this potential interference be avoided altogether, for example, by providing the meaning of unfamiliar words prior to reading? Our research investigates whether errorless or trial-and-error treatments lead to better word knowledge in contextual learning. In two treatment conditions, readers (L1 and L2 speakers) were presented with 90 novel words and their definitions either prior to encountering them in context (errorless learning) or after contextual encounters (trial-and-error learning). In the control condition, no definitions were presented. In all three conditions, the readers were instructed to infer the meanings of the novel words from context. Three measures were used to evaluate word learning on immediate and delayed post-tests: meaning generation, self-paced reading and semantic priming. We predicted that both treatments with definitions would result in better word knowledge than the control condition. Based on a smaller-scale study by the first author, we predicted that trial-and-error learning may be more beneficial in contextual word learning than errorless learning, if target items are presented in supportive contexts. This is because inferring the meaning of an unfamiliar word from context encourages a deeper engagement with context than when the meaning of the word has been supplied prior to reading. However, it is also possible that, similar to paired-associate learning studies, errorless learning is superior because it discourages incorrect form-meaning mapping (as shown in a study by a co-author). This conference paper will focus on the findings for the native speaker group. In the past decades, numerous studies have researched the effects of videos with subtitles (i.e., on-screen text in the mother tongue, L1) and/or captions (i.e., on-screen text in the same language as the audio, L2) on L2 vocabulary learning (e.g., Peters, Heynen, & Puimège, 2016). Yet, it remains unclear what the role of these types of on-screen text is for L2 vocabulary learning. When looking at the methodology of previous studies, two problems seem to arise: the duration of exposure is very short and the frequency of occurrence of the target words is often not taken into account. And yet, these two factors are crucial for learning vocabulary (Laufer, 2005). In order to address these gaps, this study used the concept of narrow viewing, which consists in providing input that stimulates repetitive encounters with specific words across different videos. The participants (N=115, L1= Dutch, L2= French) were students of technical schools (Mage=17,47). They were divided into three groups: (1) videos with French captions, (2) videos with Dutch subtitles and (3) did not watch the videos but only took the tests (= control group). They watched 20 minutes of videos twice a week, over a four-week period. There were 50 target words occurring between 1 and 25 times. A pre-test/post-test design was adopted. Vocabulary learning gains were tested with three different tests (i.e. form and meaning recognition and meaning recall). Moreover, this study also looked into potential improvement in the pronunciation of the target words and the impact on the listening proficiency, which has rarely been researched so far. Results reveal significant vocabulary learning gains for the two treatment groups in all tests when compared with the control group. During the presentation, we will also discuss the role of frequency of occurrence and the impact of the treatment on listening proficiency. A number of recent studies have found that integrating input from an additional modality can be beneficial for second language (L2) learning. Audio-assisted reading (Listening-while-Reading, LwR), and L2 captioned video (Listening while Reading and Viewing, LwR+V) have relatively well-established positive effects on both comprehension and incidental vocabulary learning relative to unimodal listening or reading (e.g. Brown, Donkaewb, & Waring, 2008; Webb & Chang, 2015; Teng, 2016; Malone, 2018) and uncaptioned video (e.g. Heynen & Puimège, 2016; Vanderplank, 2016; Chen, Liu, & Todd, 2018) respectively. There is, however, little research to date systematically comparing these two conditions (LwR vs. LwR+V) or examining the possible differential effects of integrating imagery on the incidental learning of different aspects of vocabulary knowledge. In the present study, 160 tertiary English as a Foreign Language (EFL) University students were randomly assigned to a control group (N=40), LwR group (N=60), or LwR+V group (N= 60). The experimental groups were exposed to a total of 8 hours of full-length episodes of BBC documentary series, spaced over 7 weeks. All episodes were intended for a general English-speaking audience, and presented in the form of L2 subtitled video (captioned with intralingual subtitles). The LwR group had the video images removed from every episode, and therefore were exposed to the L2 audio and L2 subtitles only. 20 target words (8 nouns, 6 verbs, and 6 adjectives) were evenly distributed across the episodes. All groups sat a pre-test of written and spoken form recognition (20 targets and 36 distracters) two weeks before the intervention, as well as immediate post-tests of written and spoken form recognition, and meaning recall, use, and recognition, followed by delayed post-tests a week later. The results are discussed in light of the current theories of multimodal learning (Mayer 2005), dual coding (Paivio, 2014), and cognitive load (Sweller, 2010). Beatriz Gonzalez Fernandez (University of Nottingham), The Role of Intralexical and Interlexical Factors on the Knowledge of Vocabulary Components. The various vocabulary knowledge components involved in knowing a word pose different learning burdens for L2 learners (Webb, 2007). However, research has shown that this learning burden depends not only on the specific type of word knowledge, but also on a series of factors that affect the amount of effort required to learn vocabulary (Nation, 2013). These factors are generally classified as intralexical (inherent properties of words) and interlexical (links between the target language and the learners’ L1). While the effect of these factors has been reliably demonstrated for some aspects, such as the form–meaning link and collocations (De Groot & Keijzer, 2000; Peters, 2016; Vidal, 2011) it is still unclear whether they affect the learning of other word knowledge components (e.g., derivatives or multiple meanings), and, if so, to what extent. The present study attempts to address this gap by investigating the impact of two interlexical factors (i.e., cognateness and proficiency) and two intralexical factors (i.e., word frequency and word length) on the knowledge of different vocabulary components. 144 Spanish EFL learners completed a battery of eight tests, measuring recognition and recall knowledge of four key lexical components: form–meaning link, derivatives, multiple meanings and collocations. The effect of these factors was analysed by means of mixed-effect modelling to explore the role of cognateness, proficiency, frequency and word length on overall vocabulary knowledge. The results displayed differences and similarities in the role played by these factors on each of the tested components. Cognateness emerged as the strongest predictor of overall vocabulary knowledge. Frequency was found to be the second best indicator of L2 knowledge across all the word knowledge components, except collocations. Finally, proficiency came out as the only common factor contributing to the knowledge of all vocabulary components, although its contribution was less prominent than that of cognateness and frequency. Adults often learn new meanings for familiar words, for example due to language evolving with changes in technology (e.g. the internet-related meaning of “troll”), or when learning a new subject/activity (e.g. the sailing term “boom”). The present studies use a naturalistic web-based story-reading paradigm to examine adults’ incidental acquisition and long-term retention of novel, artificial meanings for familiar words. Our previous research on this topic found remarkably little forgetting of word meanings between immediate tests and delayed tests one day or even one week after training. Gabriele Luoni (Swansea University), Effects of lexical frequency on the processing of relative sentences in L2 italian. The study focuses on relative sentences, investigating the relationship between frequency and syntactic processing on L2 Italian (Hopp 2015) within the HPSG framework (Sag et al. 2003). Thus far there has been evidence about effects of slower processing for object relative sentences in L1 (e.g. Traxler et al. 2002) and overall slowdowns for non local dependencies in L2 learners (e.g. Marinis et al. 2005). However no previous study has examined the effects of frequency on the processing of relative sentences in L2 Italian. The subject relative pronoun che is the filler of an NP gap (a) whereas the oblique pronoun cui is the filler of an PP gap and requires pied-piping (b). Results show a significant effect of frequency only in the verb region (X-squared = 16.24, p = 0.0001) however frequency and relative type did not interact significantly (X-squared = 2.10, p = 0.14). Within the HPSG framework these results can be explained in terms of feature availability: when lexical access is bolstered by frequency a sufficient number of semantic (the oblique form cui) and syntactic features (the subject relative che) becomes early available so that syntactic processing is likely to occur seamlessly. Frequency of occurrence has been the main criterion for vocabulary test word selection. This approach has been useful, but while frequency-ranking works relatively well for bands, but it does not work so well for individual word (#1,150 accounts will not necessarily be learned before #1,200 rose). At the level of individual words, there are numerous frequency misfits with what learners actually know. For example, pencil and socks will likely be some of the first words learned, but appear as relatively lower-frequency vocabulary on frequency lists. At AAAL 2017, we presented the beginning of a project to create a rank list of English vocabulary based on the actual likelihood of L2 learners knowing the words (the List of Rank Knowledge of Vocabulary (LORKOV). Since then, we developed a target list of around 8,000 lemmas to test with a large of participants, and are now completing customized tests for speakers of German, Chinese, and Spanish. We will begin testing in MAy, through both targeted classroom groups and through crowd-sourcing. The goal is to have 300 responses per target word by the end of 2018. The results will be analyzed through both classical and IRT approaches. We are currently about 1.5 years into the 2-year project. The presentation will report progress so far in list development, test development, and development of the internet platform required to crowdsource the data from 3 language groups (German speakers since English is a Germanic language; Spanish speakers since there are many cognates in Romance languages; and Chinese speakers which is a non-cognate language). Extensive research in vocabulary studies has revealed that lexical knowledge consists of not only individual words but also phraseological units, that is, lexical and lexicogrammatical patterns often called chunks or formulaic sequences (e.g., Wray 2002, Schmitt 2004). Given the importance of such chunks for second language (L2) fluency, empirical work is needed to establish how L2 learners develop their phraseological competence as their proficiency in an L2 increases. This study follows a longitudinal design and aims at investigating changes in English as a foreign language (EFL) learners’ knowledge of collocations, a specific type of chunks defined as two-word combinations co-occurring together in natural discourse. The study spanned six semesters and followed two groups of advanced university students of English in Poland (10 first-year students and 11 second-year students). In order to observe changes in their phraseological competence, the Collmatch test (Gyllstad 2009) tapping into the receptive mastery of L2 collocational knowledge was used. The test was administered on four separate occasions throughout the period of nineteen months. The participants were also given the Vocabulary Levels Test (Schmitt et al. 2001) in order to determine their general English proficiency; this test was administered twice: at the beginning and at the end of the study. Additionally, after the last testing session, a series of interviews with the participants was conducted, the aim of which was to supplement the quantitative data by a qualitative analysis of learners’ strategies and attitudes towards the acquisition and use of L2 phraseology. The results of the study will be discussed in light of previous research into L2 phraseological competence and the effects of formal instruction on L2 learners’ collocational gains. The presentation will conclude with some practical implications of the study for language teachers and materials developers. It is well established in SLA research that the ability to produce conventionalized language in native-like ways or what is known as native-like selection (NLS) is a vital part of general language competence (Foster, 2009; Foster et al., 2014). However, there is very scarce research on the development of this ability, which can be enhanced by residence abroad where the target language is widely spoken (Siyanova & Schmitt, 2008). In the light of this, the present study reports an investigation into NLS knowledge of advanced learners of English experiencing two different learning environments: first, a period of formal classroom instruction (FI) at home and, then, a 3-month stay abroad (SA) in an English-speaking country. Data were collected from 30 Catalan/Spanish learners of English before and after each learning period using a written composition and an oral interview, in addition to native English speaker data from 27 participants. These samples were later analyzed in terms of qualitative NLSs and through a set of quantitative lexical proficiency measures in the domains of diversity, sophistication, density, and accuracy. The results show that learners approached native-like usage gradually, benefiting from both FI and SA, as their writing gained in formality through the use of impersonal forms and their speech contained fewer false cognates by the end of the study. After SA in particular, learners also produced more idiomatic intensifiers (e.g. adverbs modifying adjectives), and their speech was richer in lexicalised fillers and target-like adverbs, which was also confirmed by the statistical analysis of adverb density. Considerable research has indicated that incidental vocabulary learning is possible through meaning-focused input, yet learning uptakes are small (Pigada & Schmitt, 2006). The majority of this research has been conducted through written modality (reading), however little has been done on incidental vocabulary learning through different forms of audio-visual materials. In addition, there is a paucity of retention data (long-term learning) as well as a lack of data on the effect of frequency of occurrence in past studies. The current research examines and compares the effectiveness of four different multimodal learning conditions video, audio and caption (VAC), video and audio (VA), caption and audio (CA), and audio only (A only) on L2 incidental vocabulary learning and retention of three aspects of vocabulary knowledge (form recognition, meaning recall, and meaning recognition). It also investigates the effect of the frequency of occurrence on incidental vocabulary learning from these multimodal situations. Adopting a between-groups quasi-experimental design, 162 EFL learners were randomly assigned to four experimental groups, (VAC; VA; CA; and A only). Participants completed three vocabulary tests, spoken form recognition, spoken meaning recall, and spoken meaning recognition, which were administered at three different times pre-test; immediate post-test, and one-month delayed post-test. The results revealed that the four multimodal conditions lead to differing amounts of learning gains of three dimensions of word knowledge. The results also showed that considerable attrition of the learned words has taken place one month after the initial encounter with the words, irrespective of the treatment conditions. It was further found that there was a general effect of frequency of occurrence on the learning of the three aspects of word knowledge. Ilaria Borro (University of Portsmouth), Unobtrusive input enhancement and incidental learning of multi-word units. A pilot study with Chinese learners of Italian L2. The present study seeks to provide a theoretical and experimental basis for pedagogical techniques capable of resulting in incidental learning of multi-word units, which are recognized as constituting a problematic dimension of L2 acquisition (Wray 2002). Previous research has demonstrated the effectiveness of bimodal exposure for the incidental learning of collocations (Webb et al 2013). However, the nature (implicit or explicit) of the knowledge gained has not been investigated (Rebuschat 2013). Moreover, incidental learning is typically slow, and this study aims to determine whether input enhancement is capable of speeding up detection of new collocations, without the learners’ consciousness crossing the awareness threshold, as well as which kinds of enhancement are most effective (Long 2017). 19 Chinese learners of Italian L2 were exposed to reading-while-listening to a 4700-word graded reader composed of 98% known words, and including seven occurrences of each of the 10 target items. In order to avoid effects related to the constituent words, unknown idioms made up of known words were chosen as targets. Participants were randomly assigned to four groups: three experimental groups received (i) visual, (ii) aural, or (iii) visual+aural enhancement of the first two occurrences of the target idioms; a fourth group was exposed to the same treatment with no enhancement. Learning was assessed through offline (productive and receptive tests of form and meaning) and online (self-paced reading) tests. Debriefing interviews indicated participants’ level of consciousness at the point of learning and checked for awareness of the enhancement devices. Though not statistically significant, due to the small sample size, results showed patterns suggesting a stronger effect for visual and visual+aural enhancement in the offline tests, and for the visual + aural enhancement condition in the SPR test. The debriefing interviews indicated the possibility of learning without awareness at the point of learning. The C-test is a gap filling test that is widely used as placement test, as a university entrance test or in the context of predicting study success of students. The latest bibliography lists more than 500 studies on this test format (Grotjahn 2016). The C-test format is based on the concept of reduced redundancy (Spolsky 1971). Natural language contains redundant elements which allow a speaker to restore linguistic elements that have been deleted or are difficult to analyse, e.g. because of noise. Native speakers are better in restoring unintelligible parts of a spoken or written text than foreign language learners. Oller (1976) calls this capacity “expectancy grammar”. These concepts have been used to develop test formats but the concepts themselves have not been analysed in great detail. In recent years, eye-tracking methods have been used and the term “predictive processing” has emerged (e.g. Hopp 2015 and 2016). The main question of the present paper is what role vocabulary knowledge plays in this predictive processing with the C-test format and whether C-test scores are constant over time indicating a constant construct which might be highly related to vocabulary knowledge. The participants in the present study are 240 Chinese in their first year of a 3+1 undergraduate degree taught in English at a Chinese university. The first year of their studies is almost exclusively spent on the development of their English language skills. We administered a C-test two times with a gap of 4 weeks, and an online vocabulary size test. Both C-tests were highly reliable, and we found a high and significant correlation between the C-test scores at point 1 and point 2. This indicates that the C-test taps into a stable underlying construct. The high correlation between the C-test scores and the vocabulary size test indicate that this construct is closely related to vocabulary knowledge. Vocabulary knowledge is therefore an important factor in “predictive processing” which is an important aspect of language proficiency. Irene Castellano, Ana Piquer-Piriz, and Rafael Alejo Gonzalez (University of Extremadura), Lexical improvement at CLIL setting: teaching methods or just exposure? In recent decades, CLIL (Content and Language Integrated Learning) programmes have flourished all throughout Europe (Pérez Cañado, 2012). Since the beginning, a number of voices rose up claiming their main advantages and drawbacks (Bruton, 2011, 2017). Among other advantages, CLIL programms seem to be particularly beneficial to vocabulary development (Agustín-Llach, 2009; Agustín-Llach & Canga Alonso, 2016; Canga Alonso, 2015; Canga Alonso & Arribas García, 2014; Jiménez Catalán & Ruiz de Zarobe, 2009; Merikivi & Pietilä, 2014; Moghadam & Fatemipour, 2014; Ruiz de Zarobe, 2008; Xantou, 2010, 2011) and motivational aspects (Lasagabaster, 2011; Lasagabaster & López Beloqui, 2015) among others. Based on those presumed benefits, there is a tendency towards implementing CLIL programmes at younger ages. However, to the best of our knowledge, there has not been any exploration of the consequences of implementing CLIL practices at different ages. This study aims at analysing the vocabulary knowledge of CLIL learners with different language learning backgrounds. To do so, the vocabulary size of 82 CLIL secondary-school learners was examined. Those learners joined CLIL programmes with different ages: twenty-one participated in CLIL programs since they were in 1st year of Primary Education, twenty-five joined the CLIL programmes in 5th of Primary Education and thirty-four started the CLIL experiences at Secondary Education. They were asked to answer the 2K band of the Vocabulary Levels Test (Schmitt, Schmitt & Clapham, 2001) and the Productive Vocabulary Levels Test (Laufer & Nation, 1995). The data obtained were examined looking into how learners’ receptive and productive size related to the amount of input they received. Results show that, although a correlation between a larger vocabulary size and greater amount of input was found, differences between the three groups regarding vocabulary knowledge could not be acknowledged. These results have practical implications, since there is a current trend towards implementing CLIL programmes at younger ages. This poster presentation describes an experiment which tracks longitudinal changes in vocabulary knowledge before, during and after an (Study Abroad) SA experience and examines and characterizes the kinds of acquisition process that can occur. Productive lexical knowledge is elicited through a word association task (Lex30) given to 38 Japanese L1 EFL learners visiting the UK on a short-term SA programme. Lex30 is administered on four occasions at equal intervals before, during and after SA to see how different aspects of lexical knowledge might gradually develop over time. Repeated measures ANOVA is used to analyse test scores and several measures, including some based on those used by Fitzpatrick (2012) as described in her paper Tracking the changes: vocabulary acquisition in the study abroad context, examine more complex vocabulary changes. The results show that there is a significant growth in productive vocabulary knowledge among participants when using a raw count of infrequently occurring words and post-SA tests also show while some knowledge attrition occurs it does not decline to pre-SA levels. Analysis of type-token ratios and comparisons with native-speaker associative norms reveal more complex findings. Although the total number of words produced by learners increases this is not always matched by an increase in lexical diversity and comparisons with native-speaker norms depend on which cue words are used. The study shows how the application of a word association tool can detect and characterize changes in lexical knowledge over relatively short periods contributing to better evaluation of future SA programmes. This study addresses the arduous task that Spanish adult learners must undertake when they study English as part of the Adult Secondary Education Curriculum. After years without English instruction, they must face several difficulties in the second language (L2), among others, age, lack of motivation, family and work responsibilities, which affect their learning process to a great extent. Considering the significant relationship between L2 learners’ lexical knowledge and their overall language performance (Alderson, 2005; Laufer & Goldstein, 2004; Meara & Jones, 1988), a vocabulary-oriented intervention was adopted to facilitate their learning process. The students being false beginners of English, a focus on Spanish-English cognates was considered convenient to enhance their vocabulary knowledge, and to promote their confidence when using the L2 (Kroll et al., 2002; Lotto & De Groot, 1998). Besides, a technology-based approach was adopted for the teaching and learning of vocabulary. An experimental and a control group from the same adult education centre in Spain took X_Lex (Meara & Milton, 2003) before instruction. Meanwhile the control group continued with regular instruction, the experimental group received 14 weeks of teaching in cognate awareness as a learning strategy to apply throughout their English course. Along with this training, participants were guided to the self-study of 1,000 words drawn from a Massive Online Open Course (Chacón-Beltrán, 2014; in press). The course was designed to encourage autonomous vocabulary learning through the deliberate study of the most frequent English words, among which cognates play a salient role, given the cross-linguistic similarities between Spanish and English. Both groups completed X_Lex after the intervention period, with the experimental group outperforming the control group in the test scores. Therefore, as predicted by previous researchers in the topic (Dressler et al., 2011; Ringbom, 2007), explicit training in cognates results in an improvement of learners’ L2 lexical competence. The construction mode of L2 mental lexicon bears an intricate relationship with the L2 vocabulary depth. Based on a comparative longitudinal study of constructive word association method vs. traditional pair-associate method in Chinese ESL learners, this research aimed to discover the impact of ten constructive word association tests on the vocabulary depth of newly learned words in the L2 mental lexicon. The constructive word association method required the subjects in the experimental group (30 undergraduates) to build a network in written forms linking two newly-learnt words together, whereas the pair-associate method simply required the subjects in the control group (30 undergraduates) to write down the corresponding translation of the L2 words. Finally, by comparing the scores of Vocabulary Knowledge Scale (VKS) of these newly learnt words one month later between experimental group and control group, this research found out that the vocabulary depth of the experimental group was significantly higher than that of the control group in terms of the stimulus words, the noise words and the overall words tested (p<0.05). In addition, the experimental group also outperformed the control group in the vocabulary depth of noun, verb and adjective respectively, however, the word class didn’t exert much influence on the vocabulary depth within each group. These results seem to suggest that via the constructive word association method, the L2 learners will intentionally conduct an active processing of the novel words, which in turn further arouses the metalinguistic awareness of the L2 learners. Thus, the novel words find a better way consolidating in the existing network of mental lexicon, which positively influences the depth of lexical knowledge. Study abroad is widely believed to be more beneficial to students than studying at home because it is assumed that students studying abroad have more exposure to and interact more in the target language than students studying at home. There is, however, little evidence to support these ideas. This is because research in this area is largely limited to studies which track the experiences of and language development among students studying abroad only. The research presented in this poster explores this gap in the literature with a focus on the inter-relationship between vocabulary and oral fluency development. The data discussed are drawn from a quasi-experiment focusing on Chinese master’s students, a little researched group in this area where the focus is typically on North American learners of French or Spanish. Seventy-three Chinese learners of English participated in the study. Thirty-four were studying for a master’s in the UK, and 39 were studying for a master’s in China. They were asked to complete an IELTS-style monologic narrative speaking task (Case, 2008), the Productive Levels Test (Laufer & Nation, 1999), Reed’s (1998) Word Associates Test and an adaptation of Freed et al.’s (2004) Language Contact Profile, as well as tests of grammatical knowledge and processing, once at the start of their master’s programme and once six months later. Preliminary analyses of the data found that there was a large different in language contact across the two learning contexts, with learners in the study abroad in the UK (Med. = 28.25 hours) having almost three times as much contact with the target language than students studying at home in China (Med. = 10.25 hours). Analyses of linguistic data are on-going. This study explores the role of vocabulary learning strategies (VLSs) behind the lexical progression of adult learners in Pakistani English as a second language (ESL) context. Research has shown that language learners use more strategies in vocabulary learning than in any other linguistics competences (Schmitt, 1997). VLSs can be described as the process by which information is obtained, stored, retrieved and used (Rubin, 1987; Schmitt, 1997). During the past few decades, several studies have been carried out to describe the use of VLSs in different ESL contexts. However, there has hardly been any longitudinal study conducted on curricular and extra-curricular VLSs in Pakistani ESL contexts. To partially fill such a gap in the literature, this empirical study was designed as a large-scale, longitudinal mixed-methods study which combined both quantitative and qualitative techniques within the project. Two types of productive vocabulary test were administered twice to 600 Pakistani university students. Students also responded to the VLS questionnaire to report on the VLSs they used, and 120 of them also took part in four weeks’ vocabulary learning reports as well as interviews to elaborate on their VLSs use. Wilcoxon Signed Ranks tests were conducted to examine the learners’ vocabulary progress, and the results showed the learners’ significant vocabulary gain between the pre and post-tests. A series of multiple regression analyses were performed to assess the impact of strategy use on vocabulary gain. Extra-curricular, self-initiatives and selective-attention significantly predicted general vocabulary gain whereas activation strategies, self-initiatives and selective-attention turned out to best predict overall progress in course-related vocabulary. This study has given an understanding of the adequacy of curricular and extra-curricular VLSs on productive knowledge of lexical increase and accordingly added to the field of Pakistani tertiary ESL context. This study examines the influence of the L1 (Tamil) on the processing of collocations in Tamil-English bilingual primary school children. For both parts of the study, the children were tested on their reading of congruent collocations (English collocations which have an exact translation equivalent in Tamil) and incongruent collocations (collocations which do not have this translation equivalent). For the first part of the study, self-paced reading was used to measure the reaction time of students in a primary school in Chennai, India, to congruent and incongruent collocations. An analysis of the data showed a strong congruency effect i.e. it showed that the L1 had a significant effect on the processing of collocations in these learners. The second part of the study looks at Tamil-English bilingual children who live in the UK and learn Tamil at a weekend school. It uses eye-tracking in order to measure the reading and fixation times of these children for both congruent and incongruent collocations. For the preliminary stages of this part of the study, the stimuli used for the first part of this study is used along with stimuli developed specifically for the new sample group. In addition to the eye-tracking data, data on the children’s language use as well as data from working memory tests and vocabulary tests is collected. Using this data, the relationship between the reading times of the children for congruent and incongruent collocations and their working memory scores, vocabulary scores and language use will be analysed. Although the results of both these studies cannot be directly compared due to the different methodologies used and the different variables studies, both of these studies provide insight into how the L1 influences the processing of L2 collocations in children. Paul Meara (University of Swansea), Where does it all come from? A bibliometric analysis of some early work in vocabulary research. This poster presents a bibliometric map based on a co-citation analysis of of the research into L2 vocabulary acquisition published between 1982 and 1986. The analysis uses a bibliometric method developed by and Small (1973) and White and Griffith (1981), which enables us to identify the major influences on vocabulary research at this time, to distinguish different strands of ideas in this research, and to home in on promising research fronts. The 1982-86 period is important because it predates the publication of Paul Nation’s 1990 textbook Teaching and learning vocabulary. The research that regularly appears after the publication of Nation’s seminal work looks very different from what appears in the earlier period, suggesting that vocabulary research undergoes something of a paradigm shift following the publication of Nation’s book. 1982-86 can thus be treated as a sort of baseline for historical accounts of how vocabulary research develops. An analysis of this earlier period can help us to better evaluate the massive changes in research practice that Nation’s book inaugurated. One of the aims of the present study is to investigate the effects of parental home language use on bilingual productive vocabulary sizes and non-verbal intelligence scores.The study involves 100 Turkish-English bilingual children (age range 7-11) who grew up in the UK. The parents are middle-class (SES) first generation immigrants from Turkey and at least one of them has a university degree. The children were tested with a productive vocabulary test (Verbal Fluency Test; Deutsch, 1995) in both of their languages. Further, Raven`s Colored Progressive Matrices (Raven, Raven, & Court, 2004) was used to measure intelligence levels. In addition, Language and Social Background Questionnaire (Luk & Bialystok, 2013) was administered to the parents. The results show a significant correlation between parental home use for L1 and higher productive vocabulary sizes (Turkish productive, r = .367, p <.01; English productive, r = .437, p <.01) in both languages and non-verbal intelligence scores (r = .398, p <.01) of children. To sum up, parents with more L1 use at home have children with higher productive vocabulary sizes in both languages and higher nonverbal intelligence in than parents with more L2 use at home. To sum up, parental support for L1 has positive effects for the productive vocabulary sizes of bilingual children in both languages and their non-verbal intelligence scores. Learning and using multiple languages across various borders and contexts can be regarded today as a normalised phenomenon. Linguistic or cognitive models that explore the intricacies of language processing and development from an idealised native-speaker or monolingual learner perspective are therefore proving to be inadequate. From a lexical perspective, different languages seem to form an intertwined system, which can be characterised by cross-linguistic interactions, parallel activations across languages and interdependence. While recent neural and psycholinguistic research appears to be conducive to a more meaningful investigation of the organisation, storage and accessibility of a multilingual mental lexicon, empirical studies that explore the size of its components and the interrelationships at play are still relatively scarce. This paper attempts to remedy this by presenting and evaluating a novel and adaptive methodology that allows for the measurement and comparison of vocabulary sizes in different languages. It argues for a conciliatory view in which linguistic, cognitive, and social aspects of research dovetail, thus enabling inter-linguistic lexical similarities (i.e. the proportion and distribution of cognates) and sociolinguistic factors (e.g. learning context and learners’ predisposition towards their background languages) to provide a more informed and nuanced understanding of the lexicon of multilinguals. This methodological framework emerges from two exploratory studies that establish the impact of prior lexical knowledge of a Romance language on additional language learning in the case of Hungarian native-speakers with a Romanian (L2) background studying English at undergraduate level. The studies espouse an experimental paradigm, which facilitates uncovering the effect of explicit instruction on cognates, and testing vocabulary knowledge in both the L2 and L3. This allows for better control of frequency and cognate effects. The set-up also includes a questionnaire, which gathers salient learner-related information. The results indicate a promising and revealing methodological framework, the benefits, shortcomings and limitations of which are discussed in conjunction with suggestions for future directions in lexical studies. Second language listening is a complex skill, as a wide range of factors play a role in determining how well learners comprehend spoken language. The current study is a partial replication of Andringa, Olsthoorn, van Beuningen, Schoonen and Hulstijn (2012) and aims to identify which factors explain variance in L2 listening comprehension (LC) among adult Chinese learners of English. LC is particularly challenging for Chinese learners of English because of typological difference between Chinese and English and intercultural differences. LC was assessed with the listening sections of the College English Test level 4 (CET4) and the Cambridge Preliminary English Test (PET). A range of offline and online instruments were used to measure learners’ linguistic knowledge comprising phonological knowledge, vocabulary knowledge and grammar knowledge, sentence processing speed, working memory capacity and reasoning abilities. A questionnaire was used to investigate the impact of differences in learners’ personal background on LC. 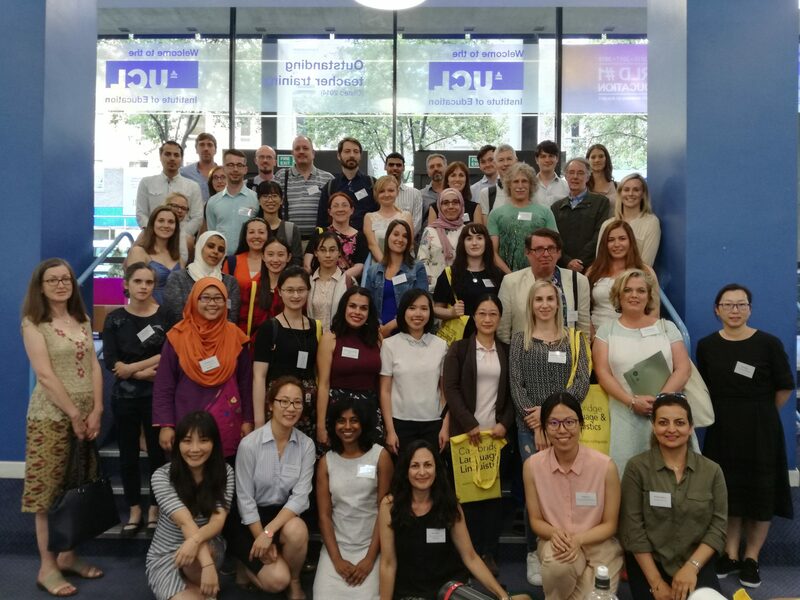 147 Chinese learners of English in a Chinese university (Group 1) and 40 Chinese learners of English who had studied at a UK university for no less than one year (Group 2) participated in the study. Group 1 was at approximately B1 level on the CEFR. Group 2 were at approximately B2 and C1 levels on the CEFR. The mean LC score of Group 1 was significantly lower and they had used English on a daily basis significantly less often than Group 2. Preliminary data analyses show that the scores from nine out of ten tasks correlated significantly with LC, except for the task of sentence processing speed when informants from both groups were included. Linguistic Knowledge explained 44.8% of unique variance in LC. Other variables which contributed significantly were Social Factors, Reasoning Ability, Working Memory and Processing Speed. All predictor variables taken together explained 65.6% of the variance in LC. Although Linguistic Knowledge contributed most to explaining variance in LC of L2 learners in both Andringa et al’s study and the current study, taken together all variables explain less variance in the current study. The difference in the amount of variance explained by Linguistic Knowledge might be due to the use of different tasks to measure this variable in the two studies. The findings on the contribution of the Social Factors in our study also indicate the importance of language learning background in L2 learners’ LC.